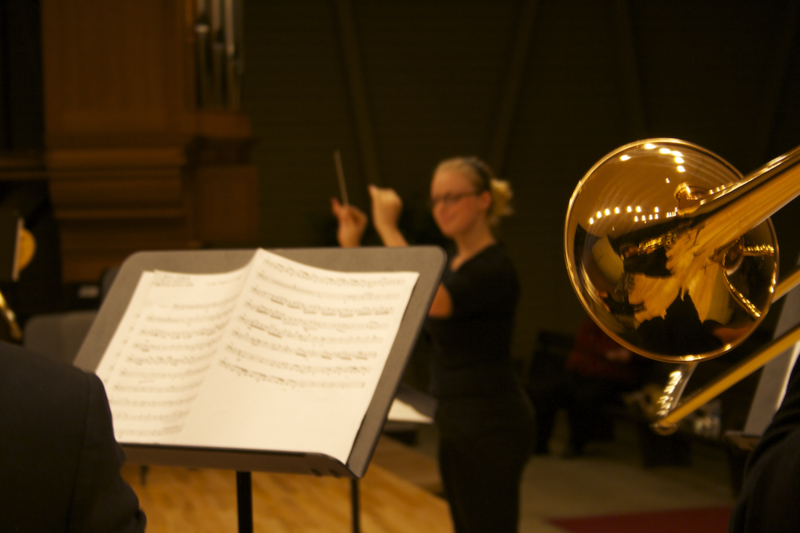 Last night, November 1, several brass chamber ensembles put on a recital. Organized by tuba DMA student Kate Wohlman, the recital had performances by the Iowa Trombone Choir, the Low Trio, The Old Gold Brass Quintet, Collegium Tubum, and the Eastern Iowa Brass Band; under the direction of Kate Wohlman. 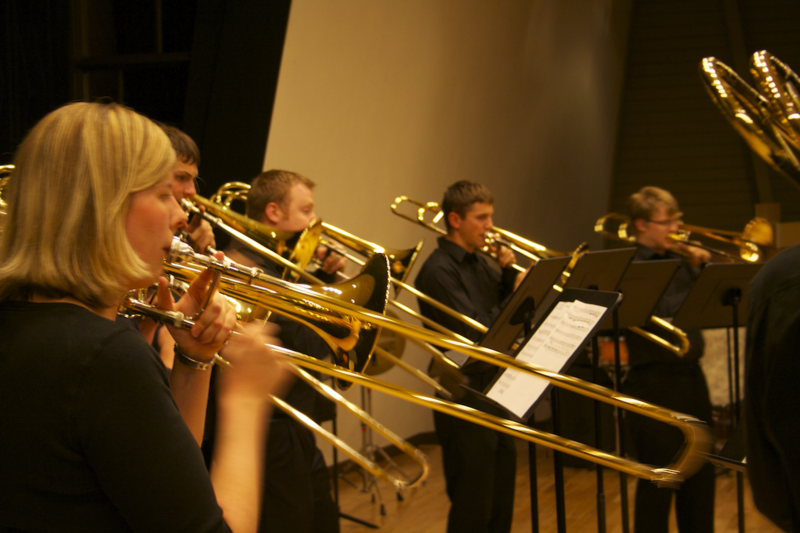 These are just a few of the many brass chamber ensembles at the University of Iowa. The recital was a great success – great turnout and fine performances by all of the ensembles.